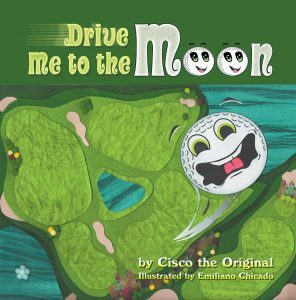 Drive Me to the Moon is a unique and captivating story about what happens to a golf ball when it gets lost during play on the golf course. Or is it possible that the golf ball has left the golf course? Meet Chip, a golf ball eager to get to the moon. But first he has to go through the struggles a golf ball faces being played on the course. He is also reunited with his buddies, the other golf balls lost from the golf course that were driven to the moon.